Enjoying quality time on the slopes of a snowy mountain during winter is fun but even better with the right set of clothes. The view as you ski or snowboard your way down that mountain is unmatched. You get to enjoy a great sense of calm and thrill at the same time. 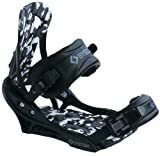 But all that will not mean anything if you do not have the right gear such as the best snowboarding gloves. The gear you wear will greatly impact your performance on the snow. Aside from mountain biking, skiing and snowboarding are my favorite winter sports. Getting my snowboard into the mountains just to have fun is the only thing that makes me look forward to the winter season. As you well know, winter season is characterized by snow and cold temperatures. Snowboarding in these is extremely fun but could turn out to be a gloomy day if your hands get cold. This means that you ought to have the quality snowboarding gloves. Luckily, there are many glove brands with a snowboarding line, choosing a pair of gloves should not be a problem. If you can’t figure out the best snowboard gloves to buy, this buyer’s guide should be of use to you. 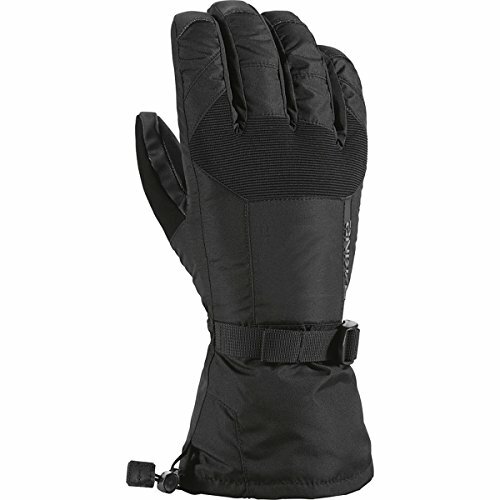 The Burton Gore-Tex is a feature packed glove with a price too good to decline. It is a glove that boasts of better dexterity and water resistance than most snowboarding gloves with the same price tag. To add to that the Burton gloves provide fairly good warmth and have touch sensitive fingers. The gloves are a wide fit and come with a pair of liner gloves. Gore-Tex gloves provide above average warmth. They come with a pair of liner gloves which unlike most gloves are removable. The liner gloves can be completely detached from the main snowboard gloves. The addition of liner gloves helps bump up the warmth. They add versatility to the Gore-Tex as you can remove the liners during summer and wear them during winter. They help regulate temperatures. Removing the liners reduces the warmth while adding them increase the warmth inside the gloves. We tested the durability and the results we got weren’t exactly the best. In simple terms, the durability of the Gore-Tex is above average. They were not impressive in any way but they held up well after day of snowboarding. After rigorous use, they exhibited signs of wear. The exterior material wasn’t doing well as we had hoped. The wrist straps worked perfectly and didn’t give in to the wear and tear. Even the elastic clinches were great as they kept the snow out of the gauntlet. The gloves are made of Gnar Guard- a proprietary leather. The Gore-Tex have average dexterity but solid ergonomics. While their performance is good, we felt they lacked something. They have a good grip but didn’t as good as the more expensive models. The Burton gloves incorporate the use of Gore-Tex insert for better water resistance. It holds up well compared to other models. The water resistance is impressive even in freezing temperatures. The Gore-Tex inserts will keep your hand dry all day. As mentioned earlier, the Gore-Tex gloves have touch screen fingers. This is one of our favorite feature. Having the ability to use your phone with your gloves on is no small feat. The gloves are thick but you can scroll, type a message, make or receive call. I know the whole point of snowboarding to take some time off screens but it wouldn’t hurt to use your phone without having to remove your gloves. In addition, the touch screen feature works on all fingers. However, the liner gloves are not touchscreen sensitive. The price is affordable and totally worth it. The gloves provide impressive performance with very little downsides. Although there many gloves retailing at same price point, very few can match its performance. It comes with a pair of liner gloves, provides adequate warmth, and has good weather resistance. The gloves have fancy features and affordable price but the durability is not impressive. Aside from the dexterity and durability, the Burton gloves are worth trying out. MCTi is fast becoming a household name in the snow gear industry. The MCTi gloves are flying off the shelves due to their affordable price and above average performance. For less than $30, you can get a good pair of snowboarding gloves. The MCTi gloves are crafted for cold temperatures whether it is rain, snow or cold weather they’ve got you covered. They capture and contain heat thus keeping your hands warm. 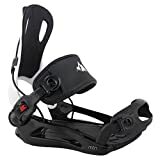 They are ideal for snowboarding, snowmobiling and skiing. MCTi focused most of their attention on comfort. The interior of the glove soft, comfortable lining for skin relaxation. The insulation is designed such that it takes the shape of your hands providing sort of ‘customized’ insulation. Once your hands settle in the gloves do not deform easily which increases their durability. The MCTi has a 3M thinsulate insulation, which comprises of 140 grams of warm cotton and 40 grams 3M thinsulate. The gloves are thick enough to provide sufficient warmth even in extremely cold conditions. Cold snow is super cold, it feels like needles piercing your skin from all directions. A small tear in your clothes when snowboarding could really affect your warmth and performance. It will reduce your chances of keeping warming while having fun. This is one of the reasons you need a quality snowboarding glove such as MCTi thinsulate gloves. 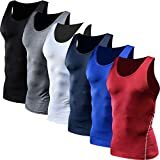 The outer shell comprises of 3 layers and is made of 6% spandex and 94% polyester. The gloves are water, wind and snow resistant. They also have waterproof TPU inserts that help prevent entry of water molecules while wicking out moisture. These gloves are impenetrable to the elements. The gloves are wear-resistant and are designed with soft full covered PU palms. They also have reinforced rubber fingers that allow for a strong, flexible grip on objects such as ski poles and snowboards. For such an affordable price, the MCTi gloves are surprising long lasting. The addition of features such as wear resistance increases its service life. Heated warm pocket for carrying ski cards, cash or hand warmers. Sweating is a problem since the lining is likely to stick on your hands/skin making it uncomfortable and difficult to remove the gloves without damaging them. 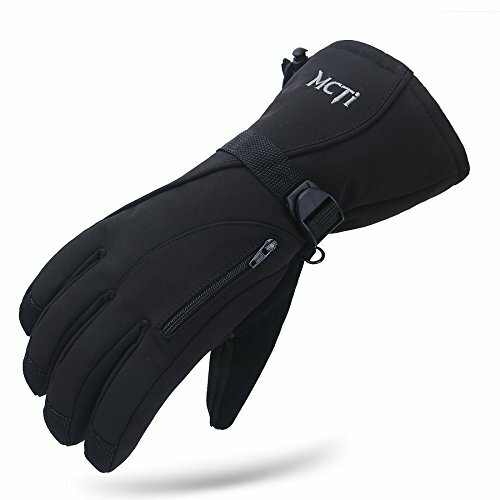 The MCTi gloves focus more on interior warmth and exterior protection therefore, they are ideal for outdoor winter games. The gloves have a few downsides but the upsides greatly outweigh the downsides. Black Diamond specializes in mountain sports, backcountry skiing, winter and climbing gear. They have decent products but our favorite was the Black Diamond Guide. A snowboarding glove that is a great option for high altitude mountaineering and arctic lift rides. Out of all the gloves we tried, the Black Diamond was the warmest. The glove has a removable liner that uses a combination of boiled wool and Primaloft One Insulation. The layer of boiled wool on the interior lining feels warm and fuzzy on cold days. It provides wicking thus your hands feel warmer. 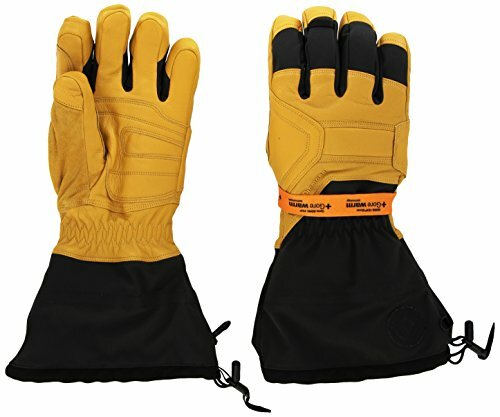 It is efficient insulation properties means that the gloves are less dexterous. The Black Diamond has excellent warmth and even better insulation properties. However, all this comes at a disadvantage to the user. Such levels of insulation means that the gloves are bulky which results in reduced dexterity. The gloves are so warm you would mistake them for mittens. The leather used is very stiff, super beefy with reduced dexterity. The newer version has less leather and it is not as stiff. You can use the gloves to carry out small tasks such as opening doors, wearing boots but complex tasks such as tying shoe laces will be a problem. The gloves have a Gore-Tex insert, which is a water resistant leather. They also feature a beefy nylon shell due to its waterproofing properties. Black Guide gloves have goatskin leather on the palm, back of the hands and parts of the fingers. There is also EVA padding on the back of the hands. The design makes the gloves super hardy to last rigorous use from the hardest user. Even after using it for a couple of weeks, the gloves didn’t show any signs of wear. However, the more you use the gloves the more the insulation deteriorates which affects warmth levels. The Black Diamond is the best option for high altitude mountaineering and cold weather resort riding. If you are going to the Arctic, then this should be your go to glove. Budget friendly products are not always the best and more often than not they fail to impress. This is not the case with the Dakine Scout Glove. It’s a budget friendly glove that is not only warm but also comes with a touchscreen sensitive liner glove. You can text, call or surf with your gloves on. You will have to remove the main gloves though. These are some of the best snowboard gloves you find for less than $50. The Dakine gloves provide above average warmth. The warmth is attributed to the 280 grams of insulation on the back part of the hand while the palm has 140 grams of insulation. We found the gloves to be warmer than some of the more expensive models. While the Dakine gloves are relatively warm they seem to lack a lot in terms of dexterity. The gloves have a nice fit but feel bulky around the fingers. This makes it difficult to use the gloves for complex tasks such tying shoe laces. You are better off removing your gloves and tackling the cold ‘hands on’ as you tie your laces. Even writing or taking a picture will be difficult. Simple activities such as unlocking a door should not be a problem. This is another area that the Dakine Scout did not impress. It is not as durable as the Black Diamond Guide but considering it sells for less than half the price of the Black Diamond, it wasn’t all that bad. The palm is made of Rubbertec, a material that is fairly grippy but not equally tough. Also, the inner liner does not have the best stitching or material. The Dakine Scout is a great choice for occasional snowboarders or a user who will hit the snow a few times a season. They offer good cover during a moderate storm. Although the gloves do not seem like much they managed to retain most of the warmth. The insulation does a good job keeping your hands warm. And the water resistant shell means that you can continue skiing even in the storm. The gloves have a touchscreen feature, however, it requires you to take off your gloves. The idea that you have to take off your gloves every time you want to change songs isn’t enticing at all. There are few things we liked such as price, warmth and water resistance. Sure there is a lot the manufacturer needs to improve but for the price, the glove is good enough. The last product on this guide is the Outdoor Research Revolution – a glove with superior dexterity weather resistance and durability. It has all the features you need to enjoy snowboarding. And the price is affordable. Grab one of these and you will never regret it. We found the Outdoor Research glove to be surprisingly warm for a glove in its price range. The glove has 200 grams of EnduraLoft on the palm, 133 grams of the same on the gauntlet and 333 grams on the back. From what we’ve seen from previous gloves used, the Revolution glove is on the heavier side of the insulation scale. The glove is comfortable to wear even in temperatures below 10F. There a couple other gloves that provide better warmth but at more than double price. With these gloves, you are sure that your hands will be warmer and drier for longer even in stormy winter. In terms of water resistance, the Revolution is well ahead of its peers. The gloves feature Ventia Dry inserts that are covered with water-resistant leather palms and nylon shells. The gloves did a good job keeping water and moisture out. 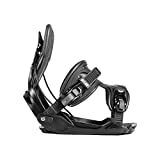 Out of the five snowboard gloves on this guide, only the Black Diamond Guide had superior moisture properties. Just like water resistance and warmth, the Revolution has above average dexterity. It’s one of the few gloves that you will find under $100 with such dexterity. You can unlock doors, write, pull zippers, and even buckle ski boots. Unfortunately, the Revolution does not boast of feature packed fun. What it does have are a few features that come in handy every now and then. These features include a huge pull loop, removable wrist leashes, wrist cinch strap, gauntlet closure and a soft fabric for wiping your nose and goggles. The Revolution is tough. It is made of goat leather which has proven to be better and more durable than most synthetic options. The outer shell consists of nylon as it has better water resistance properties. The nylon fabric performed better than some of those proprietary waterproof fabrics. The price is great, the dexterity is great and so is the warmth. Overall, the Revolution is an all-rounded snowboarding with very little to complain about and a lot to relish. While looking for top picks we carefully selected 5 gloves that fit the criteria outlined below. Most products had all the features while others lacked a few features, but had an affordable price tag. We had to balance and choose gloves that had the right combination of features. The quality of materials used determine a lot of aspects such as dexterity, durability, water resistance and warmth. As questions like; which material was used? What are its properties? 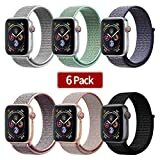 Each material will have a unique property- some will have better heat retention, some will be more durable while others will have better water resistance. In most cases, you will find that more than one material was used. Preferably look for a glove with the best combination of materials. Besides warmth and water resistance, comfort is the other key factor to consider. 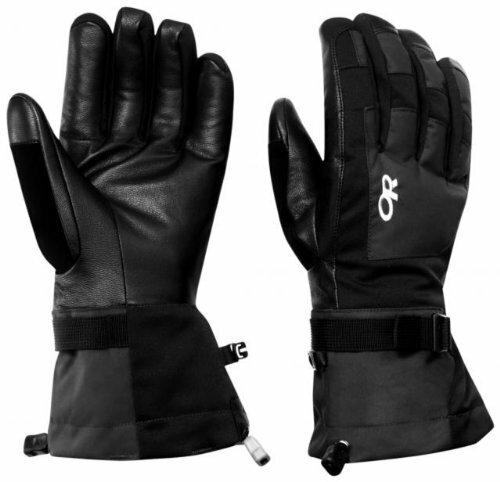 If you are going for resort riding, snowboarding or skiing, you will need a glove that feels smooth and comfortable. How comfortable a glove is, will greatly affect your performance on the slopes. Pay close attention to the materials used, whether the manufacturer used softer materials or included an interior lining. Is the lining made of fleece material or cotton? The simple details matter as they determine how comfortable your gloves will be. The insulation on snowboarding gloves is often measured in grams. You will find that a good number don’t have the weight listed or insulation rating. However, most of these insulation ratings don’t really matter because they are either subjective or they are not regulated between the manufacturers. Any type of insulation may be a good place to start but they are not regarded as the best indicators of warmth. Some snowboarding regularly while others do it once a week or twice a month. Which category are you? There are snowboarders who like to do it fast and hard while others prefer the slow and smooth pace. Which category are you? Fast snowboarders tend to produce a lot of heat which results to sweating. If there is one thing you don’t to want to experience with thick gloves on, it is sweating. It feels soggy and it’s very uncomfortable. If you fit in this category, it is advisable that you buy a thinner glove. This is one feature that is a must have. Removable liners make it easy to clean your gloves and dry them overnight. You can clean the outer shell while wearing the liner gloves or clean the liner gloves and wear the outer shell. It comes in handy when trying to perform a task with your gloves on. You can remove the outer shell and perform the task while wearing the removable liners. This is another feature that most snowboarders overlook. Gloves with superior dexterity allow you to use your hands to perform simple and complex tasks without removing your gloves. There are gloves that come with touchscreen sensitive liners or fingers. Either of these is a welcome relieve. Q. Is there a difference between water resistant and waterproof? A. Most people often confuse the two or think that they mean the same. No they do not. What differentiates waterproof gloves and water resistant gloves is the fabric. Water resistant fabric will keep you dry but not forever. They are dense such that it takes longer for water to seep through. Water resistant fabrics include nylon and polyester. Q. Can you operate your phone while wearing your gloves? A. Yes and no. Not all gloves have the touchscreen sensitive feature. There are several brands with gloves that have touch sensitive fingers while others have touchscreen sensitive liner glove. Q. 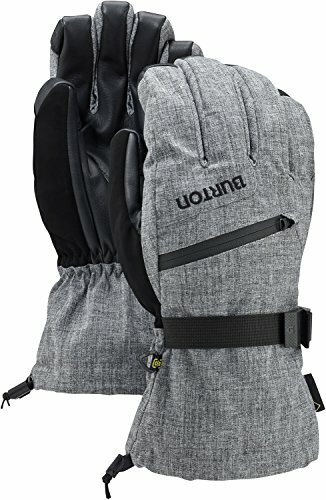 Between snowboarding mittens and snowboard gloves which ones are better? A. Personally, I would choose snowboard gloves any day over the mittens. Gloves have a better grip and dexterity. On the other hand, snowboarding mittens keep your fingers together thus feels warmer. Quality snowboarding or ski gloves translate to warm hands during the winter season, and better performance in your outdoor activities. Your choice will depend heavily on what you want and your budget.